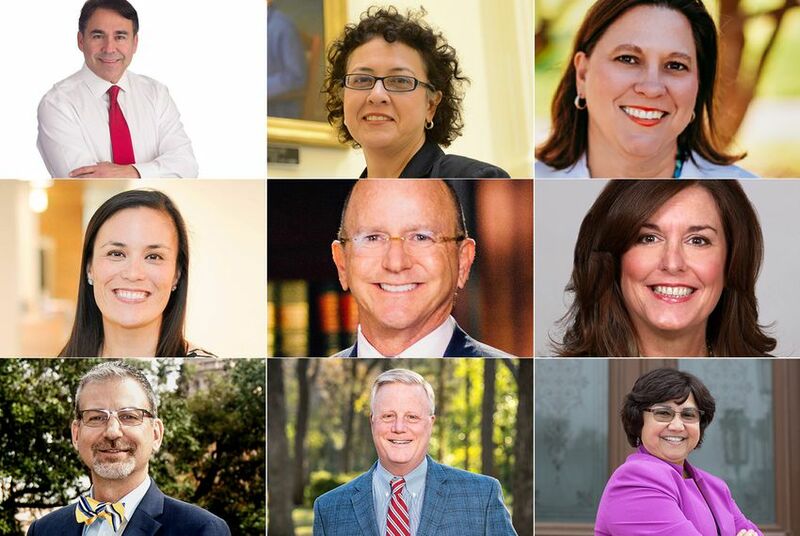 At least 48 openly LGBTQ Texas candidates are running for office, a number roughly three times higher than any previous election cycle, according to OutSmart, a Houston LGBTQ magazine. According to a list compiled by OutSmart, a Houston-area LGBTQ magazine, McClendon is one of at least 48 openly LGBTQ candidates in Texas vying for federal, state and local offices — from the U.S. House of Representatives to the state Legislature and from the Texas Supreme Court to the Austin City Council. The number is roughly three times higher than in any previous election cycle in the state's history, the magazine reported. Candidates and experts attribute the unprecedented number to the frenzy stirred up by the Texas bathroom bill and the Trump administration's proposal to ban transgender people from serving in the military. It's not new for LGBTQ Texans to seek or hold elective office here. Among those running in 2018 are incumbent state Reps. Celia Israel, D-Austin, and Mary González, D-Clint, as well as former Dallas County Sheriff Lupe Valdez, one of two LGBTQ Democratic gubernatorial candidates. At the local level, New Hope Mayor Jess Herbst — the state's first openly transgender mayor — hopes to be re-elected. "The longer I'm in the public eye, the more people want to know my position on transportation issues than LGBTQ issues," said Israel, who was first elected to represent House District 50 in 2014 and is running unopposed in her re-election bid. "We're making forward progress. People are more accepting, and you see even conservatives embracing the concept of gay marriage and accepting their neighbors." Annise Parker, the Victory Fund's president and CEO, said the increase in LGBTQ Texas candidates is part of a national trend that stems from the Trump administration’s anti-LGBTQ rhetoric and proposed ban on transgender troops. Parker, a former Houston mayor and the first openly gay person to lead a major U.S. city, said more underrepresented candidates — including LGBTQ people, women and people of color — are running for office because they are worried about the country's direction. While the Trump presidency may have created discontent among voters, the bathroom bill grabbed many Texans' attention and forced them to solidify and act on their beliefs, Haider-Markel said. Mark Phariss was one of the plaintiffs who sued to overturn the Texas ban on gay marriage. But Phariss said only the recent confidence that a candidate's sexuality wouldn't decide a political race encouraged him and many others to place their names on the ballot.